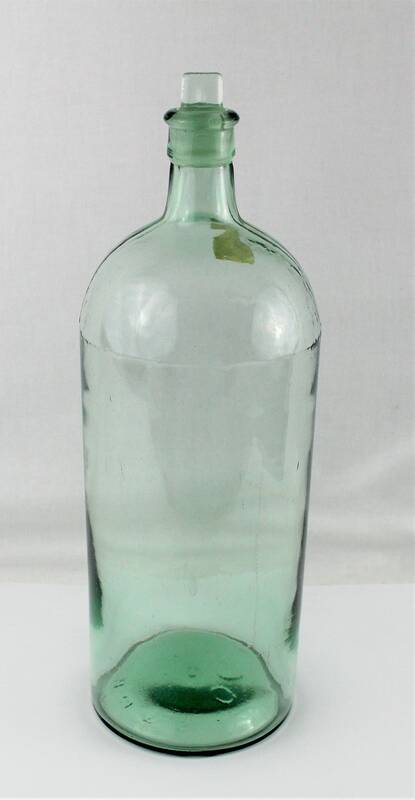 Wonderful large apothecary bottle manufactured by Cannington, Shaw & Company, Saint Helens, England (1875-1913). 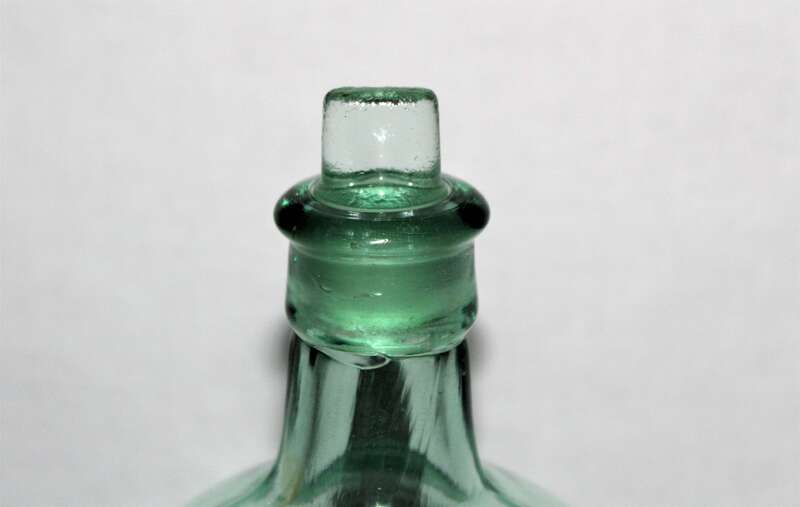 The bottle is marked on the bottom CS & Co. Ltd. 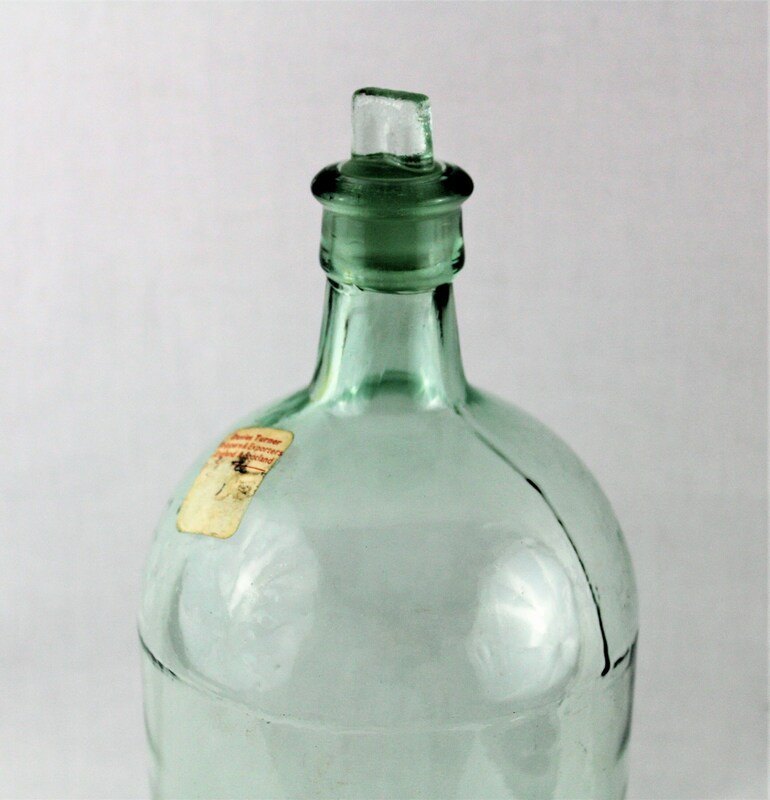 This bottle dates to around 1892 when the company first became a limited liability company. 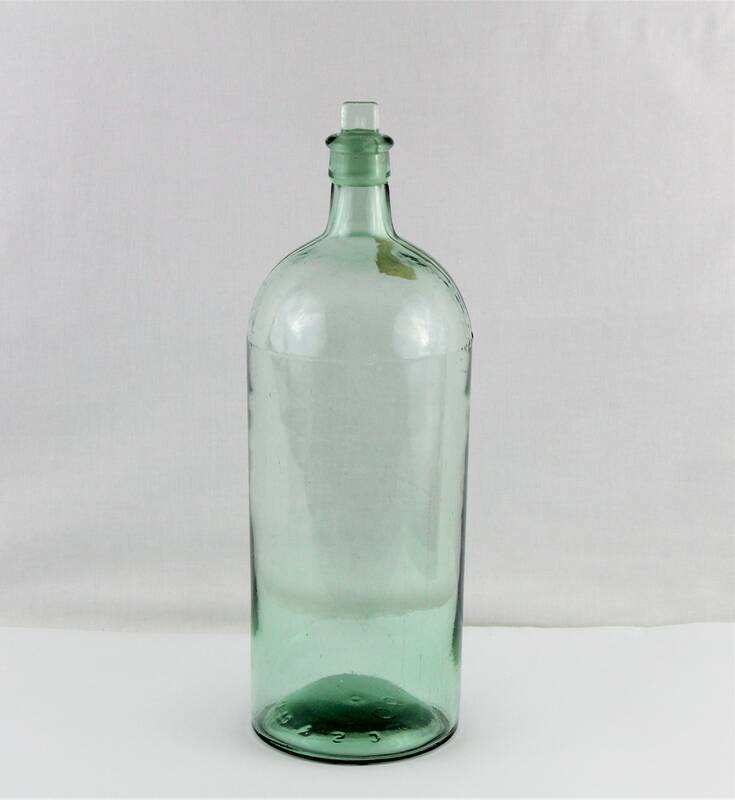 The company was well known for making soda bottles and small cream / milk bottles to find such a large apothecary bottle made by them is a real treat and the first we have ever seen. 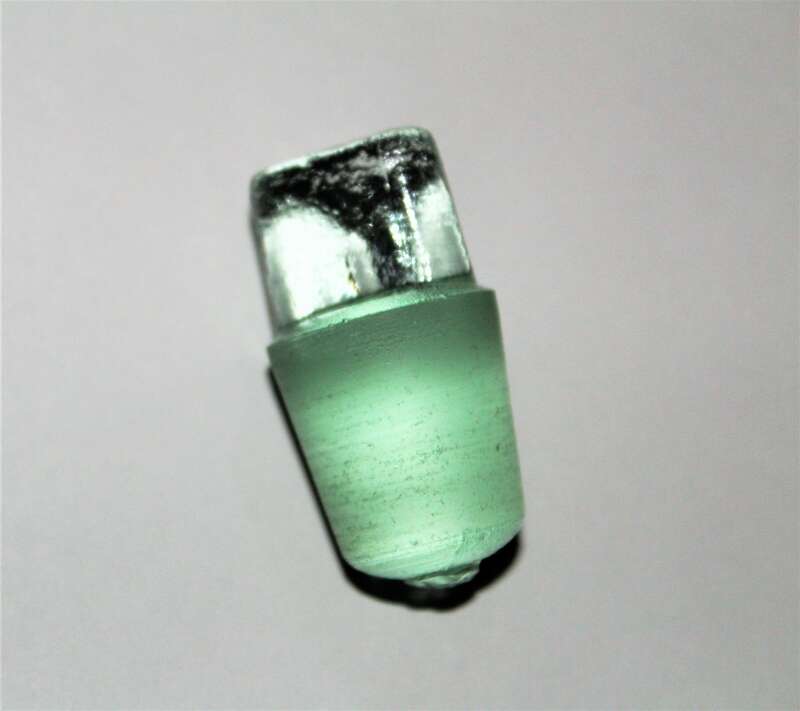 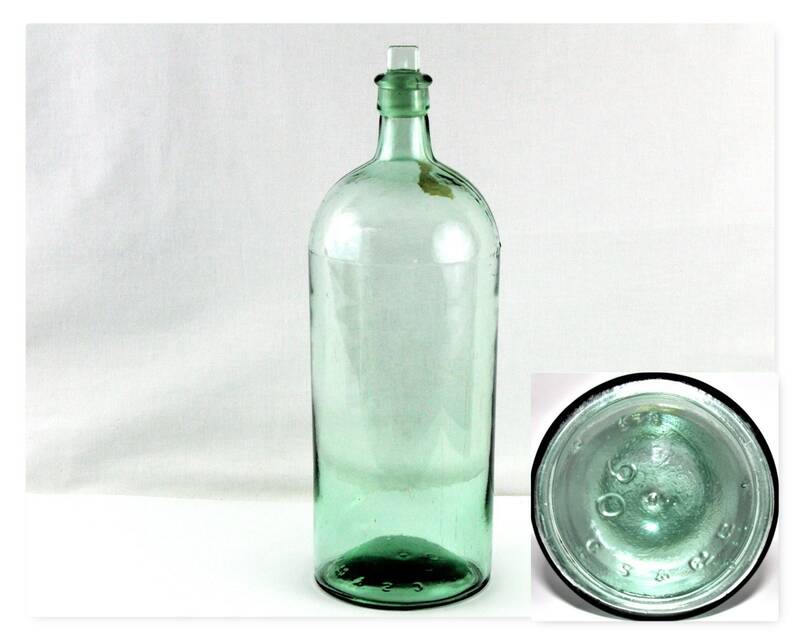 This large bottle measures 14.5” tall x 4.75” diameter and has a blue / green color. 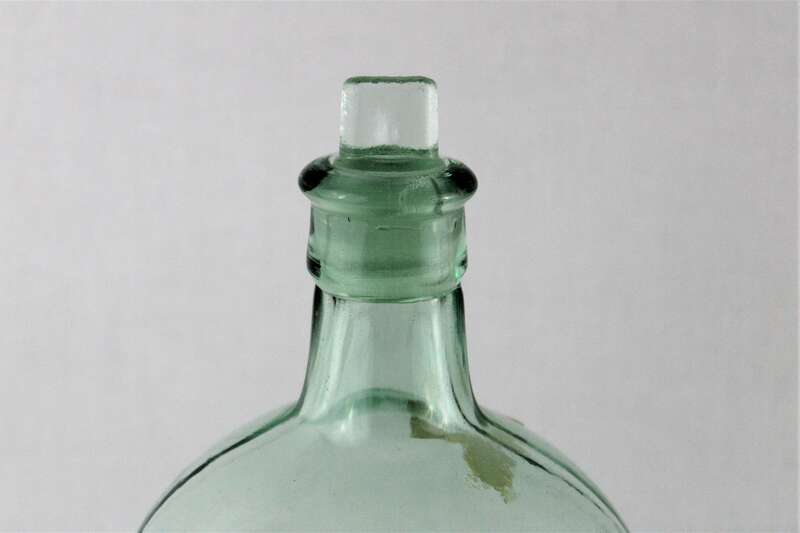 The bottle was acquired in Tennessee and had a letter of authenticity with it dating from 1975 it claimed the bottle was from circa-1850 which was incorrect do to new information learned about the Cannington, Shaw & Company. 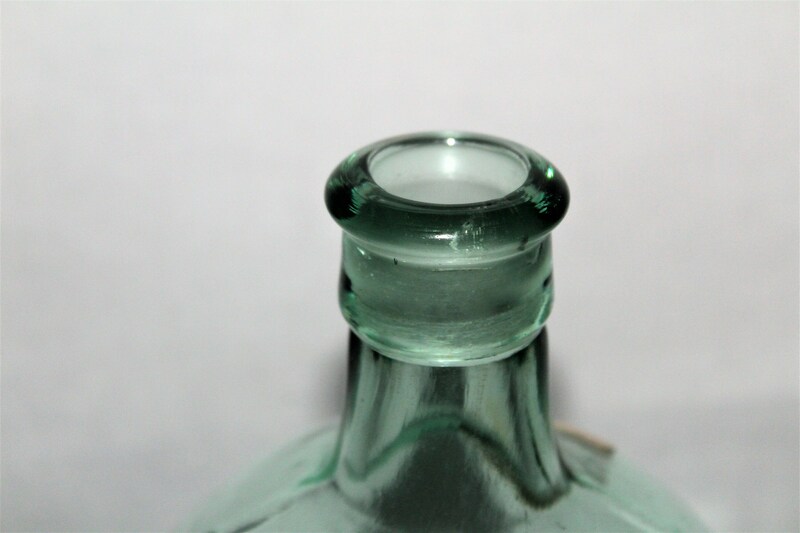 We will include the letter with purchase of bottle. 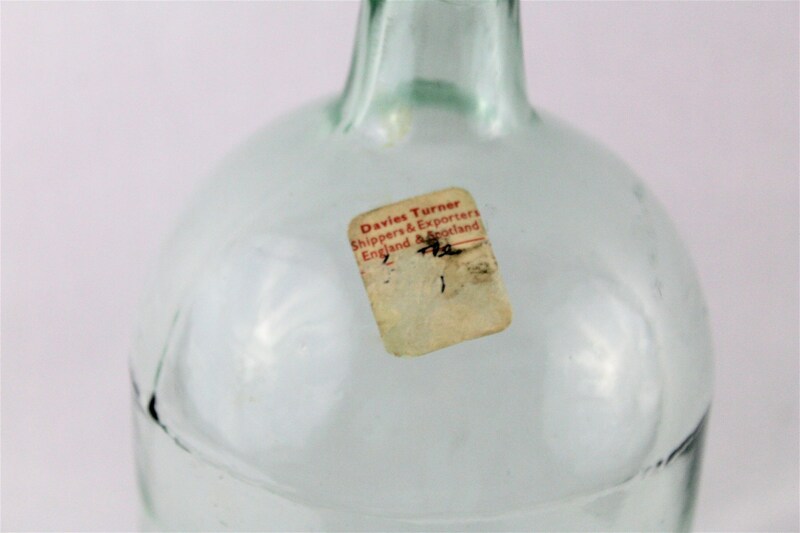 Bottle also has a sticker on it from Davis Turner shipper and exporters England and Scotland this shows it was purchased in England and brought to the USA most likely in the 1960-70s. 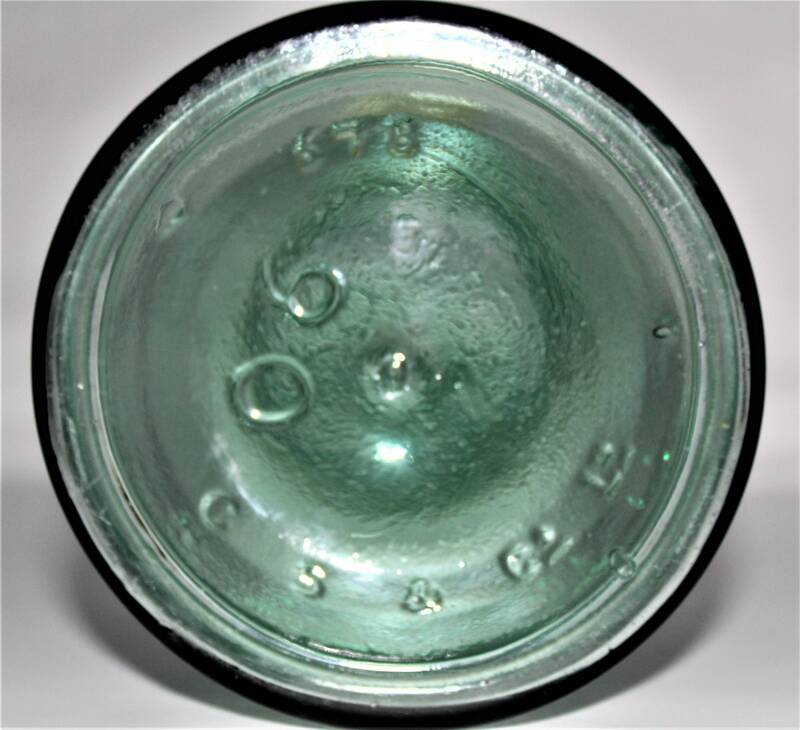 Condition; very good no chips or cracks, does has normal wear scratches.